Registration opens at 8:30 a.m. in the lobby (first floor next to hotel registration desk). Field tours and intensives will be offered on Friday, beginning at various times. They overlap, so choose only ONE. FRIDAY FIELD TOURS: Meet your bus on 7th street, the west side of the Holiday Inn 15″ before departure. DIVERSE AG BUSINESSES TOUR (10 a.m. – 4:30 p.m., $60) – Tour three diverse agricultural businesses north of Des Moines. Topics include vegetable production, animal rearing, and animal processing among others. Lacewing Acres is a certified organic, 3-acre CSA (Community Supported Agriculture) vegetable farm north of Ames. Story City Locker is a family owned meat locker offering “slow meat” that practices ethical animal take-down and sustainable butchery and works with farmers who raise animals through more sustainable practices. The last stop will tour Three Sisters Farm, whose mission is to promote a respect for the diversity, dignity, and interdependence of human, animal, plant, soil, and global life. The 700-acre farm raises sheep on pasture and home-grown grain and hay, and also grows non-GMO and organic grains. 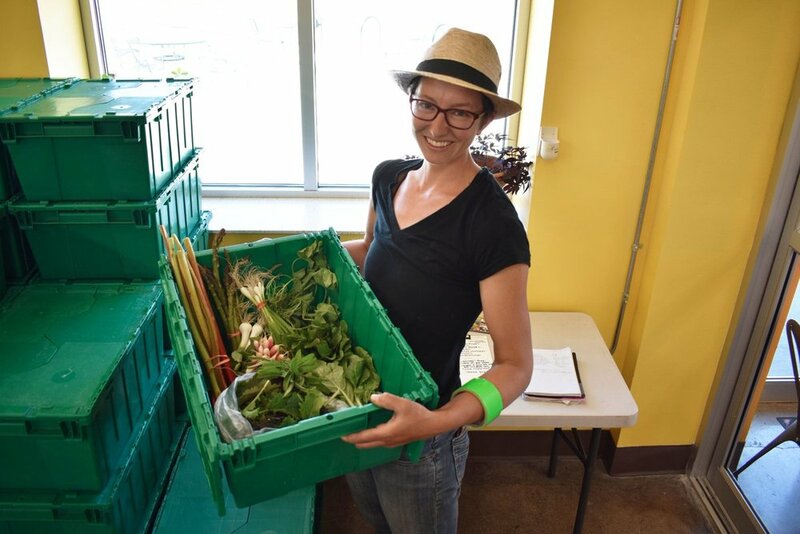 DES MOINES URBAN AG PROJECTS (10:30 a.m. – 4:40 p.m., $60) This tour will feature multiple urban garden and farm sites in Des Moines that serve a wide range of community members in unique ways. We will visit two garden sites through Forest Avenue Outreach, a neighborhood-based organization with an urban orchard, youth programs and classes for the community; Dogpatch Urban Gardens, an urban CSA farm with a variety of enterprises, including an on-site farm store; Tiny Acre Farms, a flower operation, which includes Des Moines’s first mobile flower truck; and Global Greens incubator farm, which reconnects refugee farmers with land and training for farm and food businesses. 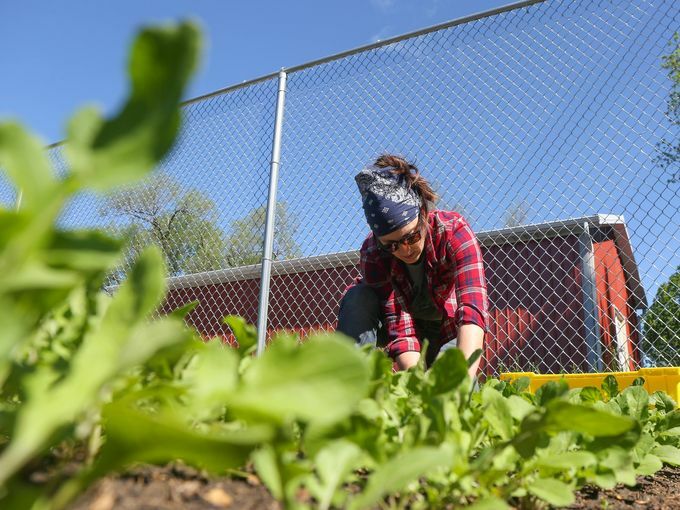 Mulberry Farms & Food is a growing program run by Central Iowa Shelter & Services staff and clients aimed at providing healthy and locally grown food options to use in the Mulberry Street Cafe, the kitchen program at CISS. Are you ready to step into action? Join passionate women for a day-long intensive focused on moving people to action on the issues you care about. Choose from two separate tracks. The Plate to Politics track will help you build skills that can move people to take action, whether that’s passing a bill or voting for you at the ballot box. The Mapping Issues to Action track will explore the interconnected dynamics between issues and identify smart solutions which address multiple needs at once – key building blocks for any kind of advocacy or organizing campaign. Both tracks will learn about WFAN’s founding, discuss connections between issues, and participate in creative community-building activities. Are you a movement leader? Are you interested in running for office, but not sure where to start? This one-day workshop provides hands-on skills training to women in sustainable agriculture who want to play a critical role in transforming our nation’s food system. Meet and hear stories from like-minded women leading in public office and community organizing around food, farming, and healthy communities. Learn how to move people to action through stories with VoteRunLead trainer Kristin Foster. Born & raised in the Arkansas River Valley, Kristin Foster is the co-founder & Executive Director of River Valley Food 4 Kids, a nonprofit organization focused on ending child hunger & generational poverty on the local level. With over 10 years of nonprofit leadership, Kristin has a wide range of experience in strategic planning, fundraising, program development, and public relations. Through her work as an activist and community organizer, Kristin has also gained valuable experience managing local and state level political campaigns. Plate to Politics is a program of the Women, Food and Agriculture Network and is strengthened by our partnership with VoteRunLead, a nonpartisan nonprofit organization that supports the aspirations of women who want to transform our country and democracy through their participation as leaders. This workshop will be facilitated by a certified VoteRunLead trainer. Thanks to Rachel’s Network for making this workshop possible. This intensive will be facilitated by Pam Sparr, the facilitator of WFAN’s founding meeting 21 years ago. Explore the interconnected dynamics between issues, such as food insecurity and hunger, exploitation of immigrants, the rampant power of the corporate energy and agriculture sectors, and climate change. You will choose the issues. Together, we’ll connect them. For example: linking workers’ struggles for better health and safety standards in Arkansas chicken processing plants to the larger story of U.S. foreign policy in Latin America and the impact of climate change in the South Pacific, or revealing the relationship between the dead zone in the Gulf of Mexico to U.S. farming practices and agricultural exports. Come, learn the details and discover new dimensions to the struggles that inspire you. After grounding ourselves in the issues you identify, we will talk about positive change and how to evaluate the quality of change-making strategies. We’ll conclude by examining current examples of transformational organizing around issues such as climate justice and wealth creation for people of color; labor rights up and down the food chain; gender-sensitive development strategies improving the lives of women and girls in subsistence agriculture; and women’s purchasing power changing how food is grown and produced. Our approach to issues at the intersection of food, agriculture and sustainability uses a race, class, gender and nationality (anti-oppression) lens, and draws upon the participatory principles and practices of popular education. This workshop will be facilitated by Pam Sparr, who is thrilled to be back in Iowa after having led a formative popular education workshop some 20 years ago as WFAN was getting started. She is supported by WFAN members Angie Carter, Maritza Pierre, Betty Wells, and Danielle Wirth. Facilitator Bio: Pamela Sparr is an economist whose work focuses on program development, policy advocacy, and popular education at the intersection of poverty, ecology and justice. She has worked for and consulted with national religious and secular organizations, the UN, and the Ford Foundation. Her passion is creating transformative, experiential educational opportunities which touch the heart, promote awareness and personal growth, and lead to justice-oriented action. Pam has worked with Egyptian trade unionists grappling with unemployment, lay Maryknoll missioners preparing to work in Latin America, low-income single mothers from the Arkansas Delta and young Chinese, Korean, Japanese and U.S. women exploring what climate change means for their lives and countries. She won an international award for her work linking corporate responsibility, environmental contamination and women’s health. Pam is a “plant person” in her soul, rooted in generations of Ohio farmers and horticulturalists.